OPOSSUMS are not generally known for digging holes or even burrows. They use dens of other animals particularly the abandoned ones. These hideous—seemingly threatening creatures ought to rely on ground dens to seek shelter. 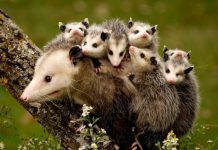 Opossums aren’t really aggressive in that they mostly share their dens with animals such as woodchucks, raccoons, armadillo, and rarely with cottontail rabbits. Do Possums Dig Holes? 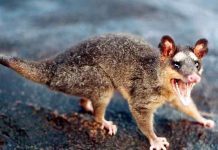 – Do Possums Burrow? Although possums spend most of their time in trees; hanging out on the limbs, playing, or searching for food, they do however live in ground dens particularly during day. Opossums are most likely to occupy dens of striped skunks, woodchucks, and a raccoon. It’s like all these animals might be using the same den at the same time. When opossums abandon the dens the same may be occupied by small vertebrates including snakes, weasels, mice, and shrews. An abandoned hole used by possum and many other animals. The opossum’s burrows are also used by land predators such as red fox. 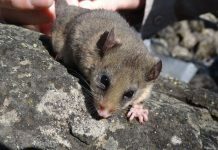 Possums are also thought to compete with kiwis for food as well as for burrows. Scientists have observed that possums do dig burrows using their sharp claws which are attached to all fingers fore. Possums are also slightly particular about choosing den sites. They likely burrow in open fields, moist regions, or wooden areas. Possum’s holes are often seen adjacent to swamps or streams. During daylight hours possums relax in tree cavities and garages. Possums remain active all night long. Once they occupy burrows, possums will decorate their dens with some wood piles, rock materials, and hollow stumps. The possum’s furs aren’t good enough to offer them enough insulation so they gather soft materials to create temporary insulation. If they don’t like dens, they will move to another. Scientists claim that possums are pretty good at digging reasonable dens and they have a good memory too in that they remember where they store foods. 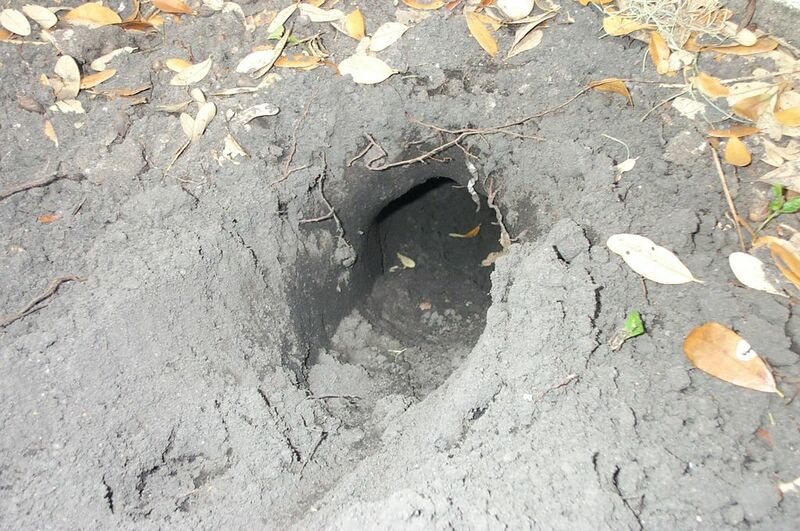 The burrows are 4 feet deep and possums may spend numerous nights completing their dens.